A Year of Being Here: Kristen McHenry: "In Defense of Gentleness"
"In Defense of Gentleness" by Kristen McHenry. Published online in Issue 5 of Numinous: Spiritual Poetry (March 27, 2011). © Kristen McHenry. 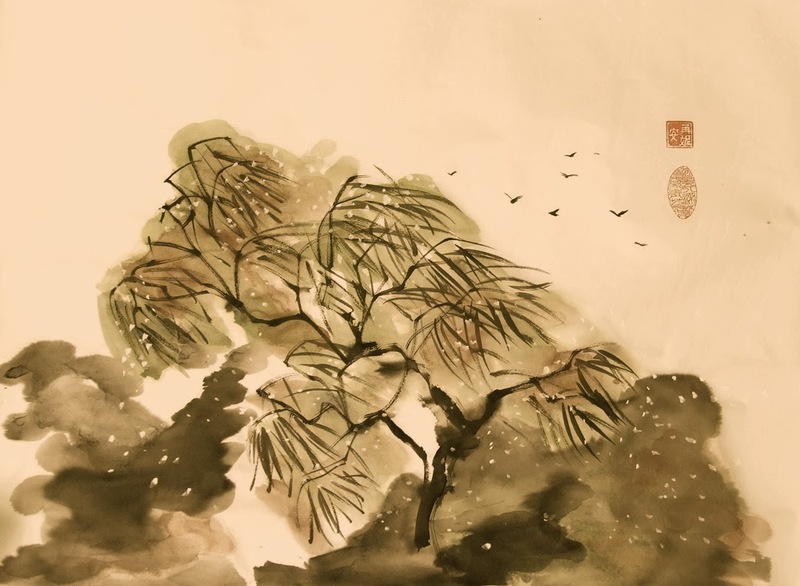 Image credit: "Willow Tree in the Storm," original Chinese brush painting on rice paper, by unknown artist (originally color).